In the learning environment of a bilingual classroom, students are surrounded by many colorful resources in both English and Spanish. When you enter Wendy Alcantar’s second grade classroom at Adelante Academy, you notice that students are provided books in both languages. Along the edge of the class there are the English books, and on the desks there are baskets containing the books in Spanish. Hanging on the walls of her classroom are Spanish writings done by her students, and the Spanish alphabet is printed along the top of the white board. Agendas, schedules and calendars fill in the remaining space. This is similar to Ida Jew Academy’s ALAS program, which incorporates Spanish into non-native English speakers’ education as well. The ALAS program is located in the classroom of Ernest Sandoval and is a welcoming and comforting place for the bilingual students of Ida Jew Academy. When you enter the classroom you will notice how diverse the classroom itself is: there are flags that hang all along the ceiling of the room from many different countries around the world. 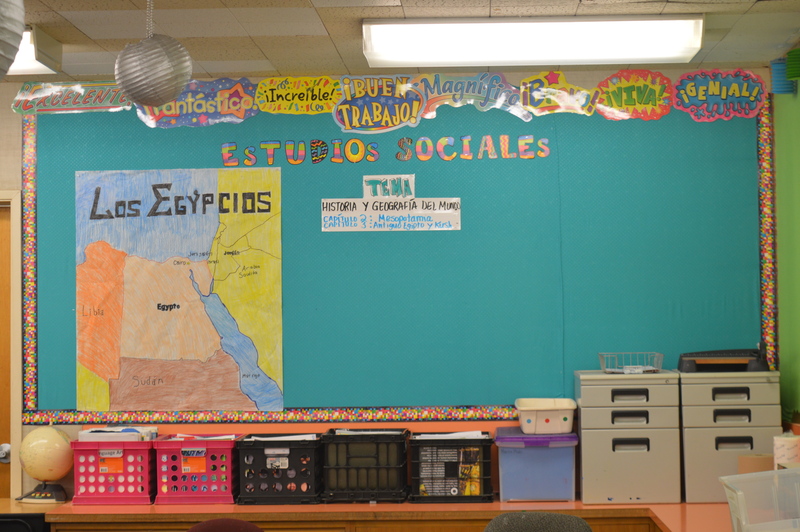 On one of the walls in the classroom there are essays and stories written in Spanish by the students enrolled in the ALAS program, and in the corner of the room there is a separate bookshelf dedicated to Spanish writings provided for the kids to read and enjoy. All these things put together, along with the company of bright students and a dedicated teacher, tie back into a great bilingual learning environment for everyone involved. Providing multilingual programs in schools is essential in the educational success of non-native English speakers since it helps those speakers learn in a language that they are proficient at as well as learn English. Having both languages to depend on will lead to a more prosperous life. In California, multilingual education was once banned due to Proposition 227. This proposition, passed in 1998, stated: “All California public schools are to teach entirely in English unless guardians sign waivers to place their students in bilingual classes.” Finally, after two decades with Proposition 227 in place, the law was repealed by Proposition 58 in 2016. The main purpose of Proposition 58 was to repeal Proposition 227 and allow non-English languages to be used in public education instruction. The Lau v. Nichols case in 1973-74 was a big part of the change in bilingual education as well. The case was between Kinney Kinmon Lau and Alan H. Nichols. Lau was representing the issue of over 2,800 Chinese students being put into classes that were taught exclusively in English. The students sued the San Francisco Unified School District, and the Supreme Court ruled that the actions of the SFUSD violated the Fourteenth Amendment, which focuses on national citizenship and forbids restricting the basic rights of citizens. Teachers also support the idea that multilingual education has helped non-native English speakers learn and advance in school. At Summit Rainier, students who are not proficient in English are given extensions and additional resources. In addition, since the native language of a lot of those students is Spanish, they tend to be placed in higher-level Spanish classes, depending on their test scores. 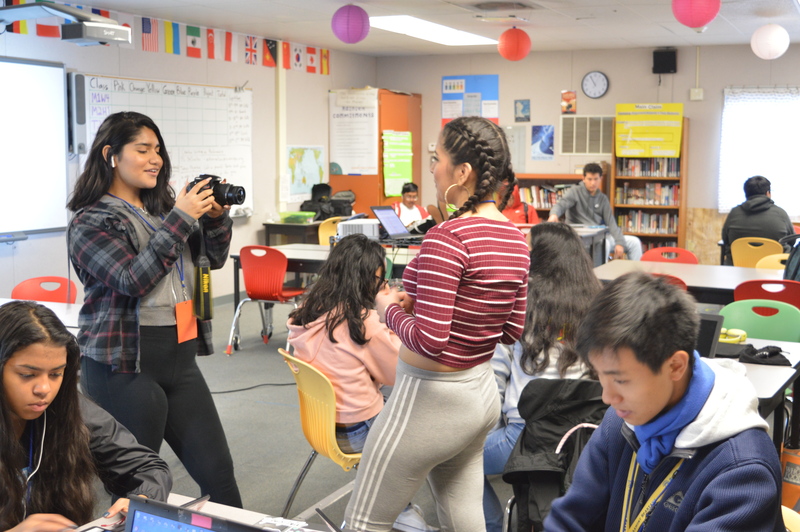 Students from Summit Rainier have even received the High School State Seal of Biliteracy for either learning a new language or growing out of the English Language Learner program. In 2011, the California Department of Education approved the High School State Seal of Biliteracy for high school students who meet the criteria of high proficiency in two or more languages. Students can receive this honor by passing all four Spanish classes offered in high school, along with taking and passing the AP test. English Language Learners are capable of receiving this honor by reaching a certain level of proficiency in English and being tested out of their ELL status. According to the Office Manager of Summit Rainier, Lupe Trujillo, in the 2018 graduating class 20 out of 83 students earned the High School State Seal of Biliteracy; 16 earned it for Spanish, three for Vietnamese and one for Mandarin. Some schools even provide dual language programs in which students are taught solely in Spanish. Erlinda Muñoz, a Spanish social studies teacher at Adelante Dual Language Academy, has taught classes in Spanish for 16 years. Adelante helps non-native speakers by teaching students in their native languages in specific classes. Another school that offers a bilingual program is Ida Jew Academy, which provides an Academic Language Acquisition in Spanish program for students in kindergarten to sixth grade. While enrolling, students who indicate that they speak Spanish are placed in the ALAS class; they learn the core subjects as usual, but the classes are taught in Spanish. Mr. Sandoval, a teacher who has taught ALAS for eight years, is really passionate about the program and has always felt that being enrolled in bilingual programs leads to endless possibilities. Students from across the world come to America in search of a better life and education, but they are faced with the challenge of not being able to speak English proficiently. They have to learn an entirely different language, since some schools do not provide adequate multilingual educational programs. These bilingual programs are very beneficial because they allow non-native English students to learn in their native tongue, while improving their overall test scores and the quality of their education.